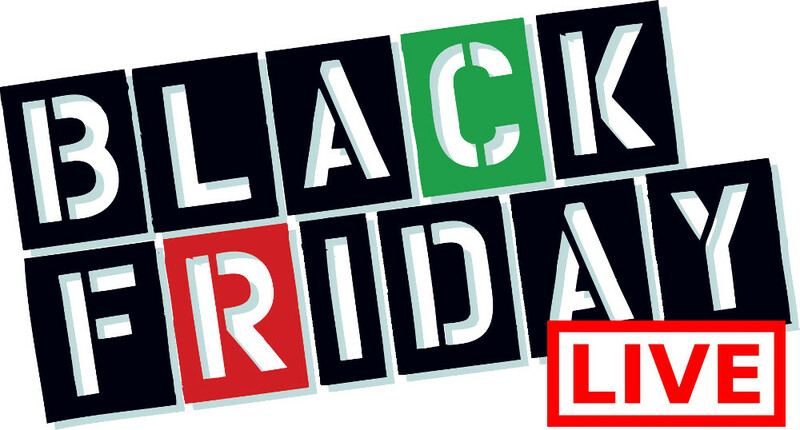 Timothy’s Cafe Black Friday Canada 2014 Weekend Special Freebie! Timothy's Canada has a nice offer for Black Friday Canada 2014! 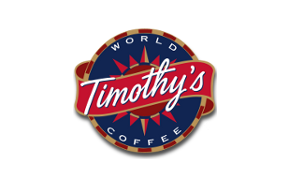 You can head into your local Timothy's World Coffee from November 28th through to December 1st, 2014 and enjoy their Black Friday Canada 2014 Weekend Promotion. 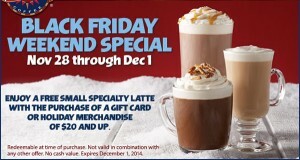 You will receive a FREE Small Specialty Latte with any Gift Card or Holiday Merchandise purchase of $20 and up. Your FREE Latte is redeemable at the time of purchase only. Expires December 1st, 2014. Click here to find a Timothy's World Coffee location near you to enjoy this Black Friday Canada 2014 offer.